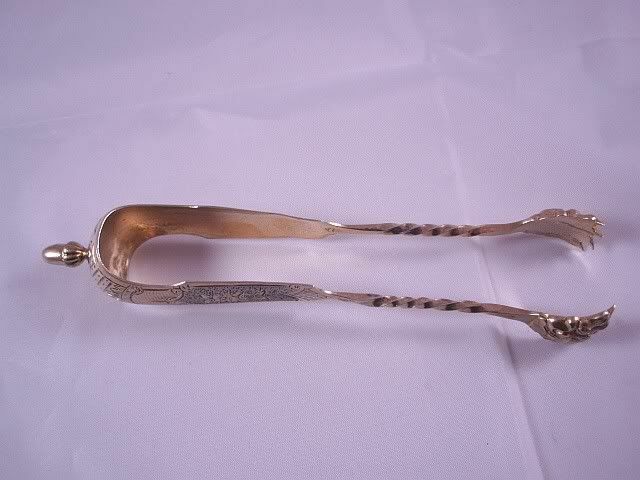 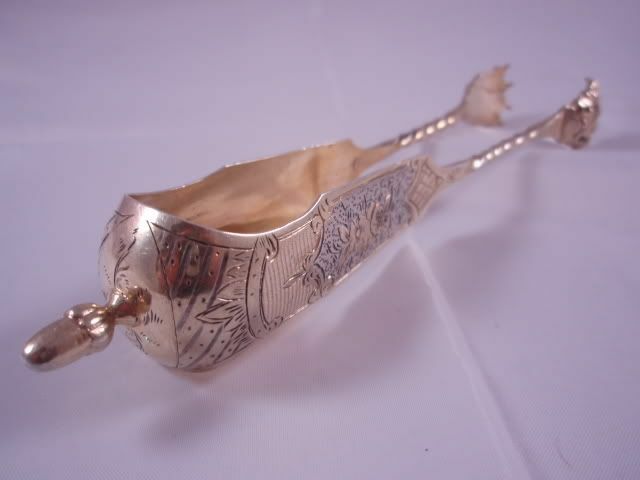 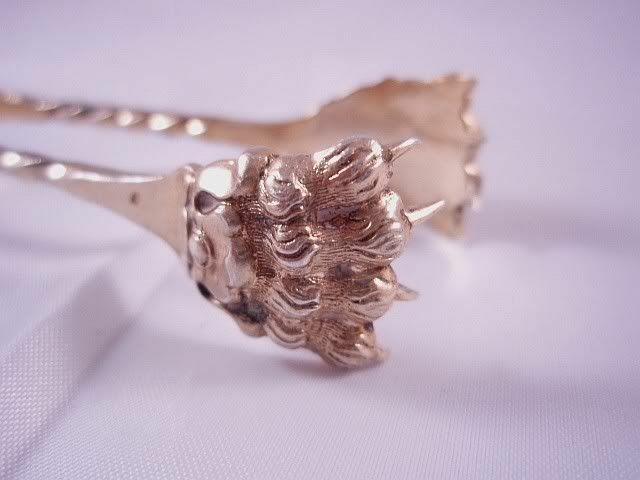 French sterling silver vermeil tongs. 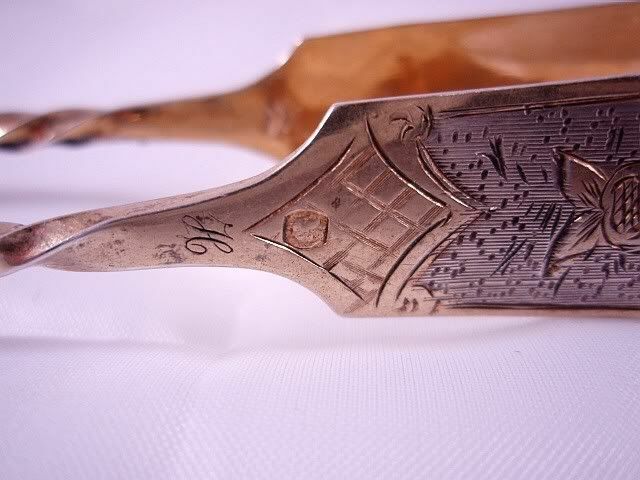 The sugar tongs are hand engraved and bear the french second standard mark on both sides of the frame. 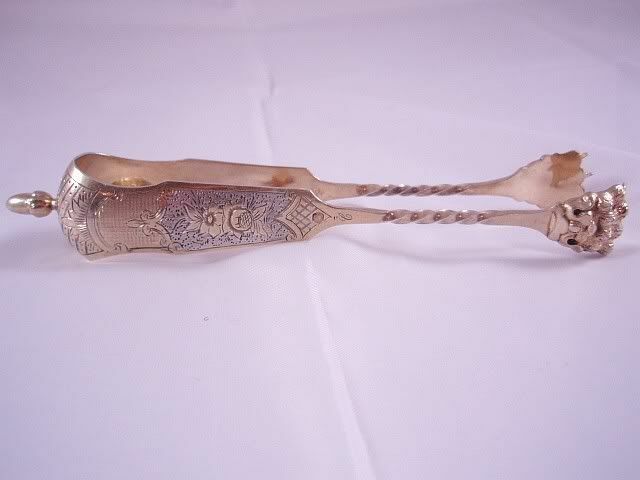 The tongs date 1838 and were produced in Paris. 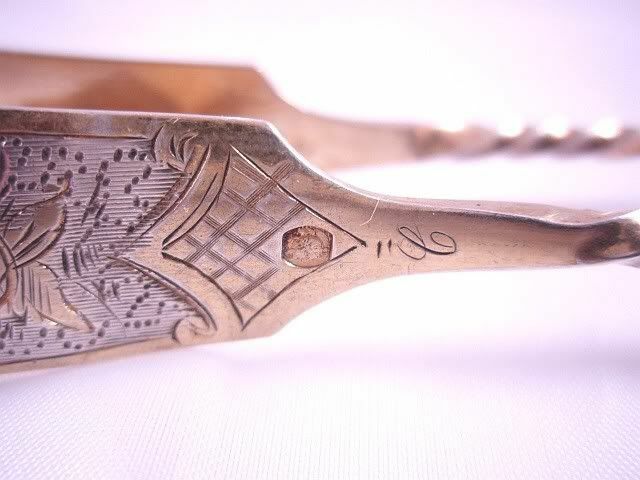 There are two small engraved script initials on either side one of C and the other H. The piece has been washed with gold referred to as vermeil (gold over silver). 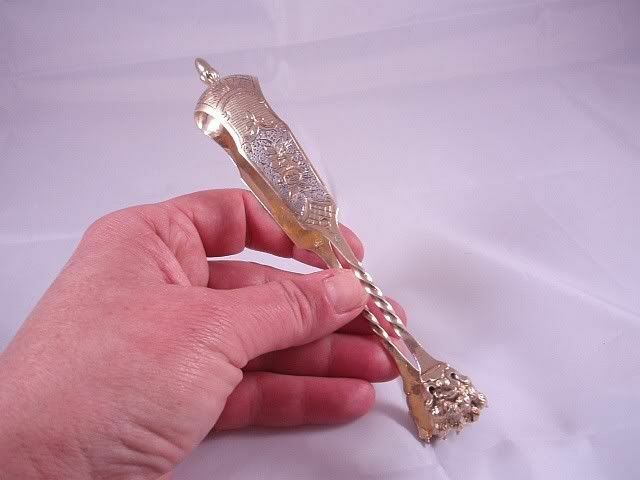 The tongs measure 6 " long to finial by one inch wide. 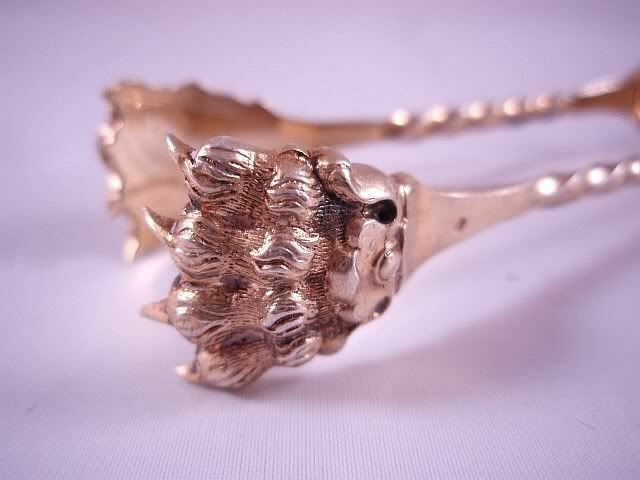 The lion paws have all their sharp little claws. 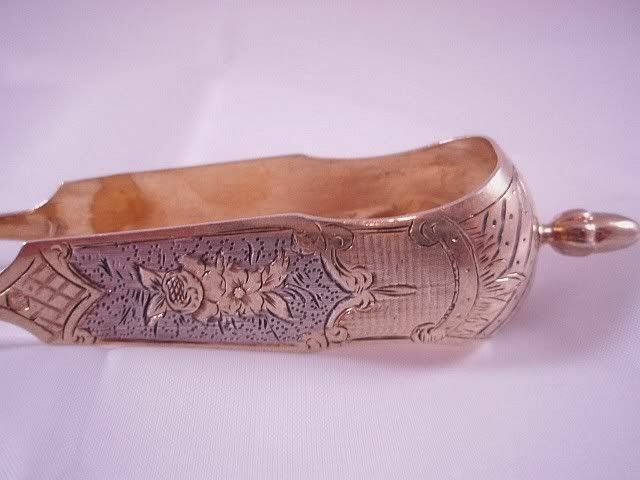 The center panel of the vermeil sides has been cut back to reveal the silver panel. 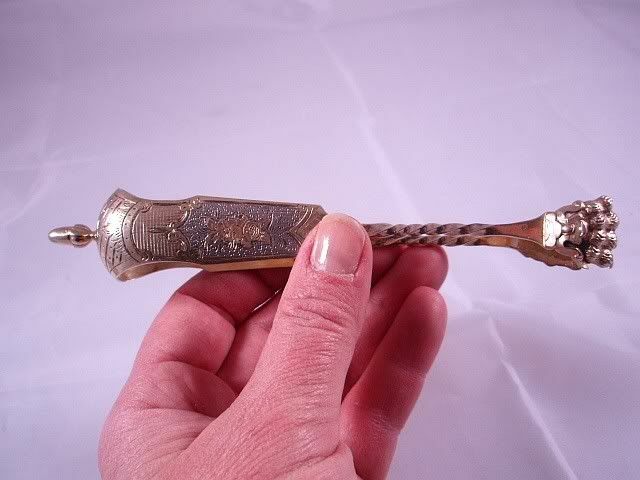 The tongs weigh just under an ounce of sterling 18.9 dwts.